Epsom Downs, 3rd May, 1769: a chestnut with a white blaze scorches across the turf towards the finishing post. His four rivals are so far behind him that, in racing terms, they are 'nowhere'. 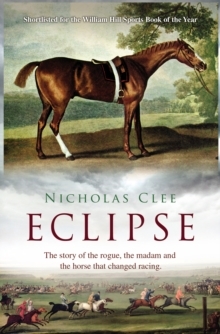 Watching Eclipse is the man who wants to buy him. An adventurer who has made his money through roguery and gambling, Dennis O'Kelly is also the companion of the madam of one of London's most notorious brothels. While O'Kelly is destined to remain an outcast to the racing establishment, his horse will go on to become the undisputed, undefeated champion of his sport. 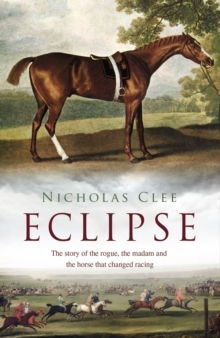 Eclipse's male-line descendants will include Desert Orchid, Arkel and all but three of the Derby winners of the past fifty years. And his astonishing life will be matched only by that of the rogue who owned him.